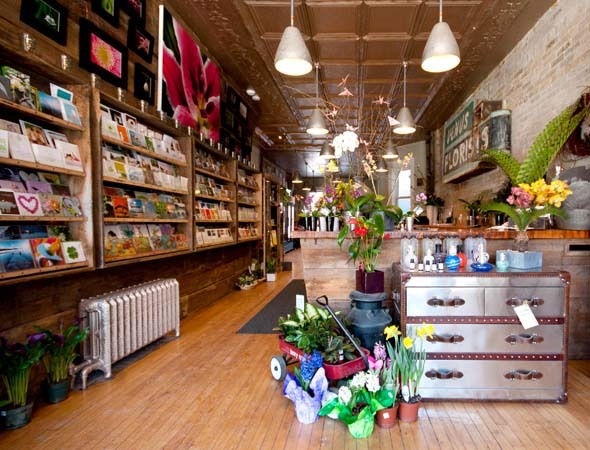 Sweetpea's has brought eco-friendly, contemporary floral design to Roncesvalles . Finally. "There really wasn't anything like this before," owner Sara Jameson tells me, leaning over the counter. Jameson has lived in the area for years and is clearly a Roncy devotee. "There were stores that sold flowers, but no real flower boutique." So, after working in landscaping for two years after leaving her previous job as a graphic designer, Jameson took over this space, formerly occupied by Buddha Dog , and opened up in September. Perhaps I let the floral aroma and abundance of freshly cut flowers seduce me, but I found the space absolutely beautiful. 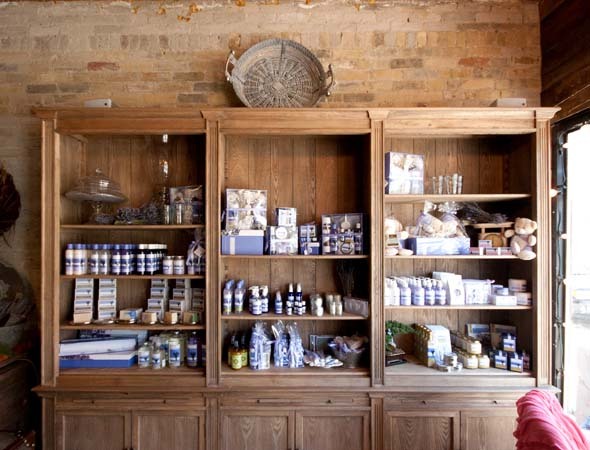 The store has a soft rustic feel, with 100-year-old barn board along the walls, an antique chandelier hanging in the window, and the original tin ceiling painted a cool metallic by Jameson's husband, "Who spent four days on a scaffold lovingly painting the whole thing," Jameson says. It also displays the old "Venus Florist" sign behind the counter. 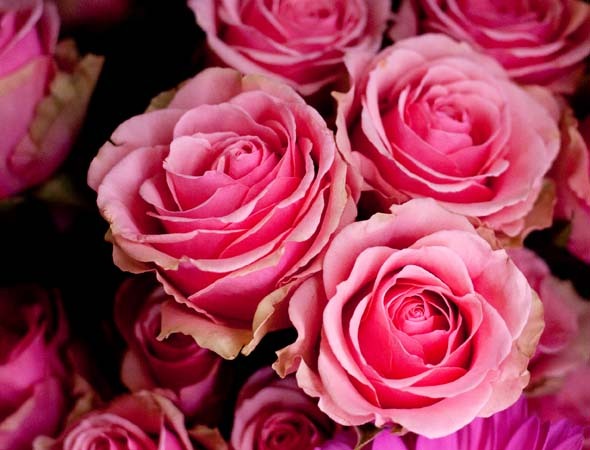 Sweetpea's tries to source locally grown flowers whenever possible, and recently went through dozens and dozens of eco-friendly, fair trade roses for Valentine's Day. They use flowers that are in season and biodegradable cellophane and bags. "I take so much pride in what goes out of the store, and I really think everyone should have fresh flowers in their homes," Jameson says. "We have posies that are $10 and quite sweet, and stems for as little as $2 each." 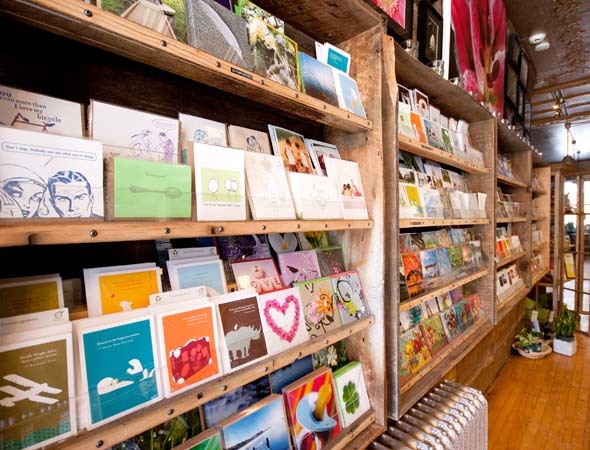 Sweetpea's also sells non-floral items such as its Ketto I Mean Card magnets ($6) with wonderful messages including "Your Degree is Useless" and "The Elderly Have a Strange Odor." "A lot of the products I sell I've found at the One of a Kind Show ," Jameson says. "I just look for things that are unique and kind of cool." 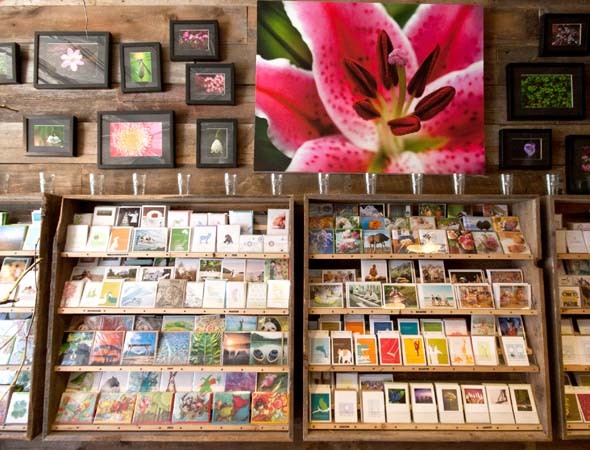 Along with its garden centre Sweetpea's plans to open in the spring, the store does floral designs for weddings and other events, will be selling seeds in a few weeks, and of course, will help couch-surfers get out of the dog house. "I once had a guy come in and ask, 'So what do you have in the I Fucked Up category?'" Jameson tells me. "I asked him, 'Fucked up like "I didn't mean to call you fat," or "I didn't know she was your sister?"" He said he didn't know. There are sweeter stories, such as the old man who came in this past Valentine's Day to buy a bouquet for his wife. "He signed the card, 'Didn't forget. Couldn't forget. All my love.'" The store itself is named for Jameson's husband, who she calls "Sweetpea." Jameson's Valentine's Day present, though, wasn't a bouquet of roses. "He flew in from Halifax, where he's working as a pilot, and fixed the leak under the sink," she says.